4 Season’s Techs, Inc. offers 24/7 repair and maintenance services when you have air conditioning, heating, refrigeration, or other problems with your HVAC system. 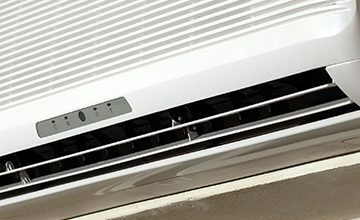 We offer the most advanced installation services custom designed to meet the unique needs of your home or business, including breakthrough air purification systems, air conditioning units, and thermostats. We believe in providing fast and efficient service our clients can depend on. 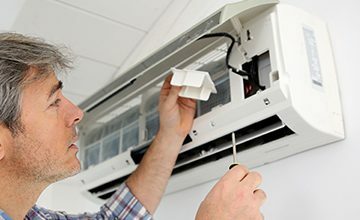 Our team of technicians bring years of industry experience to ensure each and every client is satisfied with our repair, installation and air conditioning maintenance services. No matter your HVAC needs, we have what it takes to help you breathe easy. Save yourself the frustration of fixing your home’s AC or heating system and leave it to the professionals. 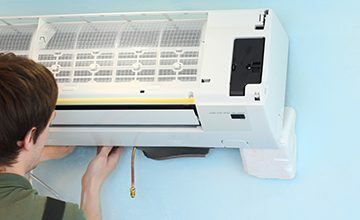 At 4 Season’s Techs, Inc. in Orange Park and Jacksonville, Florida, we work on all kinds of heating and air conditioning systems, including mini-split, ductless, and portable air conditioning systems. 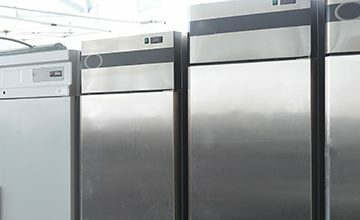 Take advantage of our quick and efficient maintenance services to ensure better air quality and temperature custom to the unique specifications of your home or business. AC and heating repairs have never been easier or more affordable. 15% OFF our services when you mention our website! Ready to get started? To learn more about our AC repair, installation, and maintenance services, contact 4 Season’s Techs, Inc. today and receive a no-obligation estimate on our air conditioning and heating services. For more information, call (904) 601-0985 for Orange Park and (904) 442-5518 for Jacksonville residents. We finance at 0% interest - 24, 36, 48 equal payments. I highly recommend 4 Seasons Techs! Professional Experts at a great price. They really know about Air conditioners!! Great service, good prices, very professional, very knowledgeable!!!!! Young and Knowledge people with Loveling Prices. I call another company before i get to then and they offer me a same day service. They didn't charge me for the service call and replace my unit the same day. Good Luck guys i usually never take my time to do reviews but you guys deserve it. !!!!! Highly recommend you this guys, awesome techs!!! !, great knowledge, outstanding service!!!!!! great prices!!!! Very prompt service, affordable prices, very professional, great customer services, highly recommend this guys. Pablo and Eddie were really nice and down to Earth but most importantly they did an exceptional job! They replace our entire ac unit within 4 hours. They made sure it was done right. We aren't suffering in heat anymore. 🙂 Thank you guys. Would recommend them to others. They were great and on time and prompt. I thought they were a little expensive for time spent but very knowledgeable about the system and fixed it quickly. Very friendly and honest bunch. Service was excellent! I hired them to do my yearly maintenance based on the great job that they did repairing my air conditioning unit. The team arrived in 30 minutes as promised, they were friendly and wasted no time finding the issue. I will definitely use and refer them in the future. Very quick response via phone and technicians arrived promptly after speaking to them on the phone. Repair was completed very quickly and had the AC up and running and even provided the ideal air filter size for the unit. Eddie and Pablo arrived ahead of schedule which I liked! They were efficient, professional, courteous, and hard working. They installed a new unit in six hours, which included lunch in that time frame. They laid down tarps inside the house. When they were done they cleaned up every piece of trash and then vacuumed! I will recommend 4 Season's Techs, Inc. to friends and use them again when I need AC service! They arrived in a timely manner. Eddie walk me through every test and showed me the results when determining the problem. Eddie and Pablo were extremely profession and on time for the scheduled time I requested. They found the issue with my Lower A/C unit quickly and immediately corrected it. Explained to me what was wrong and why so I could easily understand. Eddie also did some work on my Trane touchpad controller relating to questions I had at no charge. I was so impressed with Eddie and Pablo, I signed up for their twice a year service agreement. Good fair price and excellent customer service. Needed a new a/c unit to replace a leaky 14 y/o builder-grade a/c not worth fixing. They gave me a recharge for the night and then were able to install the new one the next day. I waited a few weeks to post a review to see how this new unit affected my electric bill. The bill went down $53 with the new unit installed for 3 weeks. I did have an issue with the original drain pipe leaking in the night (not their fault) and they came back before 8am the very next day and fixed it without an additional fee. Will use these guys again. Outstanding service, fast response, i Will use this company forever!!!!! The technician was informative, courteous and proficient. Explained the procedure and made me aware of the different options. Great service fast response, I would recommend these guys. Great customer service. Super knowledgeable. Reliability. Great price. The rep was professional and thorough. I will be glad to make referrals. I completely satisfied with the work, and with the new ac system. Their service was prompt and efficient. They were pleasant to work with, and their rates were reasonable. I definitely would ask them back for future work. Great service, great guys . Very pleased with service. Learned a lot of very helpful and most probably cost saving information. Excellent customer service. Charges were competitive, professional and punctual. Will use them again. They were very punctual and installed 2 new home thermostats.in the promised time. Their labor charge was very competitive with other highly rated companies which was the reason for selecting them. All procedures were explained in a clear manner making me feel I made a good choice. Had my underground line set repaired for my a/c unit in my town home. Very professional n great job. On time, worked hard. Recommend to all, great priced compared to 3 others. Saved me thousands. Eddie and Pablo were very polite, professional and informative. They answered all our questions and concerns to our satisfaction.